The US’s top 10 list remains festooned [love the Brit’s use of the English language] with cars from the Far East. The number one best-seller Stateside between January and September was the Toyota Camry. This was closely followed by the Honda Accord, Toyota Corolla, Honda Civic and Nissan Altima, giving a clean sweep to the Japanese car firms for the entire top five. The highest placed home-grown, so to speak, was the Chevrolet Malibu [6th place], while in seventh was Ford’s Fusion (a Mondeo-sized ‘sedan’ not to be confused with the ungainly Fiesta descendant that wears the same badge over here). Hyundai’s Sonata was eight, the aforementioned Focus was ninth and the Chevrolet Impala rounded off the top 10. 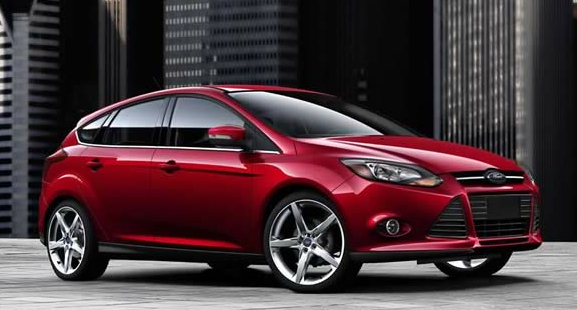 The only car in common was the Ford Focus and even that isn’t the same unremarkable Focus sold here. It’s the 2nd generation European Focus. The 3rd generation Focus will be sold worldwide, including in the US, early next year with US MSRP beginning at $16,270 for the sedan. Also, the UK list is almost exclusively small cars, by US standards, with smaller gasoline or diesel powertrains. The hop over the pond and the different taxing schemes on cars and gasoline/diesel fuel (not to mention the impossible parking and clogged traffic of London) really makes a big difference.